Considering all the time we spend at work, have you ever wondered if the building you are working in is healthy or not? Or, it could make you think better, or be more productive? Researchers at Harvard T.H. Chan School of Public Health and SUNY Upstate Medical University didn’t just wonder, they set out to answer those questions. Studying 109 workers at 10 buildings in 5 cities across the U.S., they discovered that working in green-certified buildings was associated with higher cognitive function scores, fewer sick building symptoms and higher sleep quality scores. 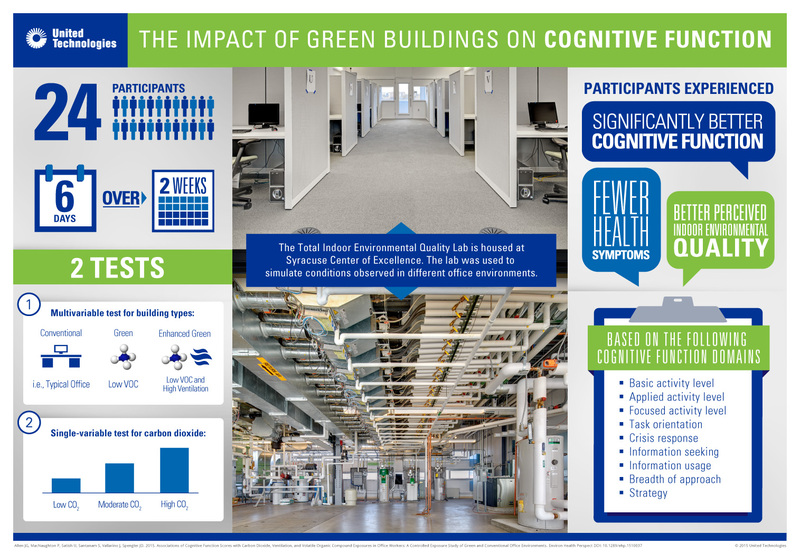 The study builds on the team’s 2015 COGfx Study – COGfx is shorthand for your brain’s cognitive function – which found significantly higher cognitive function test scores for office workers in a simulated green building environment with enhanced ventilation compared to a conventional building environment. In addition to these statistically significant findings, the study also found that employees reported 30% fewer sick building symptoms and had 6% higher sleep quality scores compared to those working in high-performing buildings that were not green-certified, indicating that benefits of green buildings may extend beyond the workday. Researchers wanted to look at the impact of ventilation, chemicals, and carbon dioxide on workers’ cognitive function because, as buildings have become more energy efficient, they have also become more airtight, increasing the potential for poor indoor environmental quality. 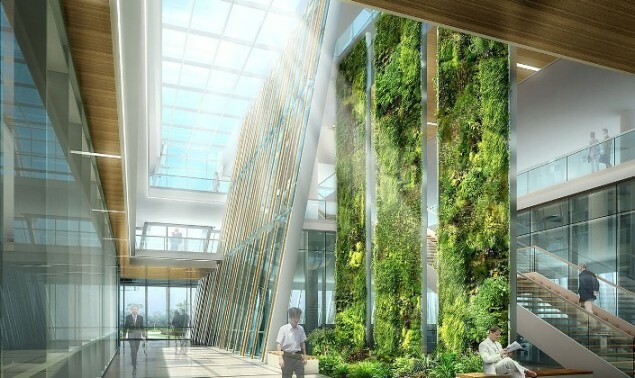 “Certified green buildings not only deliver environmental benefits, they can have positive impacts on the productivity and thinking of the people in those buildings. That’s a powerful combination that can accelerate the green building movement globally,” said John Mandyck, Chief Sustainability Officer, United Technologies. Based on their latest findings, the research team believes a holistic approach is needed. “We’re advocating for what we call Buildingomics – a new approach that examines the totality of factors in the building-related environment,” said Dr. Joseph Allen, Assistant Professor of Exposure Assessment Science at the Harvard T.H. Chan School of Public Health, Director of the Healthy Buildings Program at the Center for Health and the Global Environment at Harvard Chan School, and Principal Investigator for the study. “Through Buildingomics’ multi-disciplinary approach, we aim to better understand the factors that influence health in buildings and unlock the ability to optimize buildings for improved cognitive function and health,” said Dr. Allen. Also read: Did You Know the Mere Design and Colour of Walls at Workplace Can Promote Employee Wellbeing?